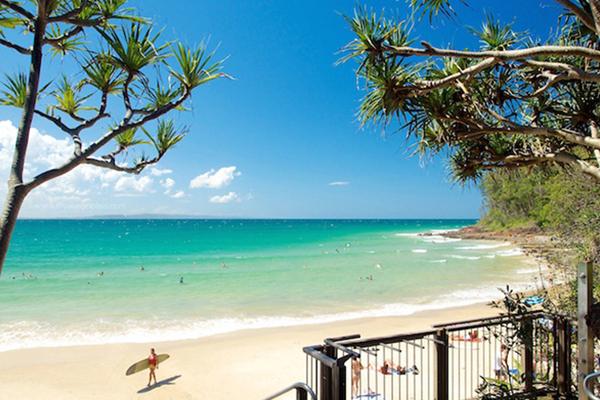 From a media release by Noosa Council, originally published here. 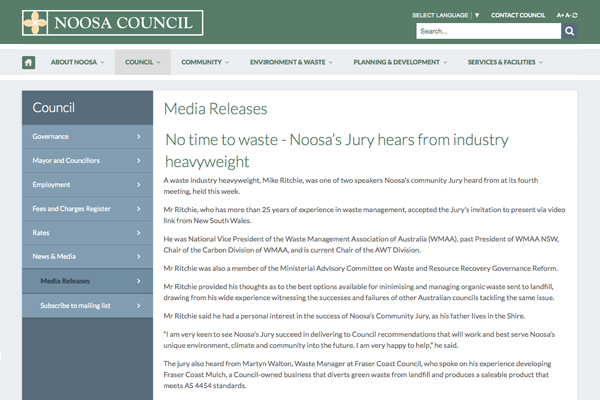 A waste industry heavyweight, Mike Ritchie, was one of two speakers Noosa’s community Jury heard from at its fourth meeting, held this week. Mr Ritchie, who has more than 25 years of experience in waste management, accepted the Jury’s invitation to present via video link from New South Wales. He was National Vice President of the Waste Management Association of Australia (WMAA), past President of WMAA NSW, Chair of the Carbon Division of WMAA, and is current Chair of the AWT Division. Mr Ritchie was also a member of the Ministerial Advisory Committee on Waste and Resource Recovery Governance Reform. Mr Ritchie provided his thoughts as to the best options available for minimising and managing organic waste sent to landfill, drawing from his wide experience witnessing the successes and failures of other Australian councils tackling the same issue. Mr Ritchie said he had a personal interest in the success of Noosa’s Community Jury, as his father lives in the Shire. “I am very keen to see Noosa’s Jury succeed in delivering to Council recommendations that will work and best serve Noosa’s unique environment, climate and community into the future. I am very happy to help,” he said. The jury also heard from Martyn Walton, Waste Manager at Fraser Coast Council, who spoke on his experience developing Fraser Coast Mulch, a Council-owned business that diverts green waste from landfill and produces a saleable product that meets AS 4454 standards.